Mosul is Iraq’s second largest city, and the biggest ever controlled by ISIS. “Chairing” the Niniveh Governorate, at one point, Mosul numbered almost one million people. The Tigris River separates the city into two parts, east and west, with the later side having the historical and cultural entitlement. The city, as the province embodies a distinctive, mozaic societal make-up: Arabs (mostly Sunnis), Kurds, Turkmens, Yazidis, Shabaks and Assyrians. Located at the crossroads for Middle Eastern trade for century, Mosul was notably relevant for many political structures along history, especially for the Ottomans, but now contested verbally by the Kurdish political factions of KRG – Kurdistani Regional Government. After Saddam Hussien, Mosul became Iraq’s second largest city with a population (according to Encyclopedia Britannica) of 1,800,000 people, however now it’s estimated to have been dropped around 400,000 – 700,000. In today’s infinitely complex Iraqi society and political life, Mosul is a ‘world-within-a-world’, embodies living micro-organisms of ancient and modern history, dramatic outcomes societal meltdowns, topped by the competitive and ambivalent local dynamic and affairs. The battleground has a geo-strategic value. Whoever controls the city forwards its presence along the Tigris and exercises control over the Nineveh. Steak holders vary and power-investments depend on adversarial involvement. In conjuction with the anti-ISIS efforts, the KRG made a bid for expanding its jurisdiction and control. Aspiring for a functional independent state, oil revenue and other forms of economical income from Ninive are key. Consequently, the region is equally relevant for the Turks, who wish to block the previous hypothesis, depending on how efficient the soft power components are (Erbil-Ankara pivotal relations). Camp Bashiqa is just one of Ankara’s military installations in the region. Sunni tribesmen and few Turkmens are being trained to form militias capable of detering Kurdish expansion and to maintaining a Turkish leverage in the ex-Ottoman province. In the end, Baghdad half-sidelined the Kurds from the operation. Mosul was designated as off-limits as the Kurds were only tasked with securing the north-western outskirts of the city. However, Baghdad yelled to Tehran’s wishes and spearheaded the Popular Mobilization Units (PMUs) consisting of Shi’a fighters on the frontlines. Up till today, that is one of the biggest planning errors made by the ISF. When the assault on Mosul commenced, the city was not surrounded or isolated, leaving the western flank completely exposed for maneuvers and evades. A western Nineveh offensive that would “fence” ISIS in Mosul, came late, around the beginning of 2017. Corollary the battle commenced and developed in a slow manner that only permitted the ISF forces and the controversial PMUs (Popular Mobilization Units / Shia’s brigades) to cross the Tigris into Western Mosul in late February 2017 – where they mostly consolidated on wins after the capture of the International Airport. Upon establishing the new administration at Washington, the Pentagon looked into ways to expedite and speed-up the liberation. the Rules of Engagement (ROE)were eased for the hundreds of US military advisors based in Iraq. This threw them into a more combatant-tactical role, and subsequently moved over 1,000 of reservists in Kuwait, ready to cross into Iraq and replace wounded/ killed soldiers. Also, the commitment of military hardware and assets was enhanced. Having the Qayyarah Air Base located just 60 km south of Mosul under U.S. control, the Iraqi Air Force and US-led Coalition were able to launch more precise and lengthy fire missions or surveillance control activities. 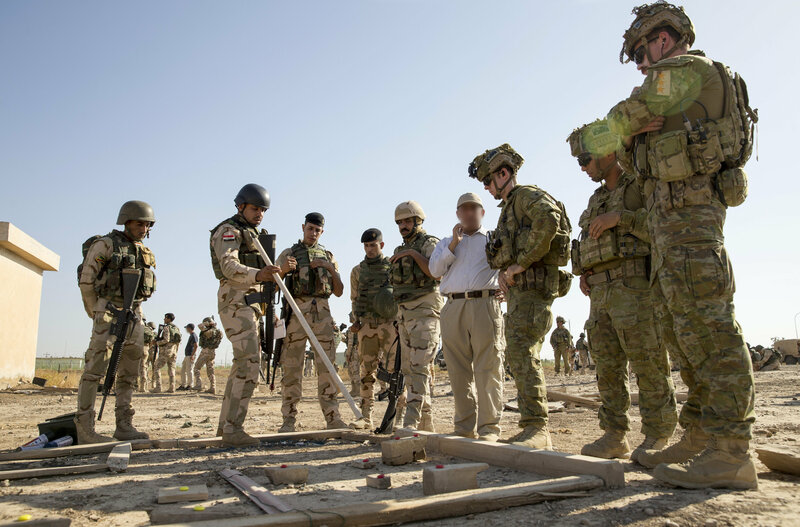 Federal Police, Rapid Response Divison and U.S. Marines continue to aid Iraqi Security Forces (ISF) on the ground, while the Coalition’s air assets continue to provide overwatch including with attack helicopters. The ISF has progressively commenced into dense urban warfare where uncertainty dominated the psychological landscape. Usage of air elements grew difficult, as chances of collateral increased. Inherently, the operation became infantry-centered. The classic and hunting block-by-block fighting took central stage. In Iraq’s western Sunni-dominated province of Anbar, the cities of Fallujah and Ramadi have been liberated by the ISF, partially counseled by the U.S and the the Iranian al-Qu’ds Froce – yet the former retained a limited and discreet footprint. The situation is now relatively stable. That is solely because the real local power-brokers are the tribes and clans, the influential families that altogether act as rational actors, regardless of the confessional radical outlook; they chose the militant factions when they consider that as being pragmatic, as they side with Baghdad when the case demands so. While this analysis does not propose to present a political roadmap for a post-ISIS Iraq, it actually wants to signal that several political and social mistakes should not be repeated – take the smart approach. (2) On the other hand, ISIS has traditionally used civilians as human shields for their retreats or movements. This again challenged both senior commanders in making key judgments and regular infantry combatants to undertake sharp fire-or-forget decision. There rarely is a middle ground in these situations and therefore the balance between immediate military effectiveness and long-term societal appropriation is an ever-hunting dilemma. The ones spared by Iraqi fire with the cost of securing ISIS retreat will forever remain grateful to the ISF, while the impact of a “sweep ‘em and weep” approach could shock the local population and generate a feeling that there is no distinction between ISIS and ISF and that both put poor value in human life. The extensive usage of human shields from the terrorists has also toned down the use of Air Support due to fear of collateral damage, which is also a reason for the continue transformation of the Mosul battle into a infantry-centric fight. However, there is also a mental barrier for the ISF soldiers in relation with the local population, which is fully legitimate and should be taken into consideration. Accordingly to counterinsurgency (COIN) doctrines, an insurgency cannot survive without basic civilian accommodation and popular support, but I may add, that an insurgency cannot evolve into a hybrid Parastate nature without some-kind of extensive civilian embracement. While many are grateful for the ISF liberation, there is an ever-present skepticism in relations with civilians. ANNEX A: WHAT IS PARASTATE? While the term ‘Parastate’ has been very discretely featured into academia or strategic reports, it is a key word for the future, notably because it transcends the State-actor vs. Non-State-actor reference system, more accustomed to the past security environment, and goes further to describe the new threats and current combatants of small wars. These are neither insurgencies nor state-armies, but something between: a Parastate. An unconventional, asymmetric yet sometimes ambivalent military force that attempts State-governance and manages to imitate a government’s function, which is largely how the Islamic State could be described – the level of public administration inflicted into cities as Mosul or Raqqa are shocking case studies for this topic. They created parallel institutions similar to what the Talibans were close to do in Afghanistan: from law enforcement, judiciary courts, religious policing with deep and strict societal behavior and dress codes, financial & trade laws, relies heavily on taxation and industry (ISIS oil) and overall has a distinctly rigid top-to-bottom chain of command that is nontraditional for unconventional warfare factions. Command procedures and organizational structures are usually ambiguous and flexible for guerilla groups. Additionally, a parastate can operate advanced weaponry as medium-range missiles, launch conventional military attacks, employ a sophisticated set of tactics (cyber, informational, psychological etc.) and overall act as a regular army, but then swiftly disappear through the civilian population… That is the Sparking Myriad, as the experts call it, the unknown, the unpredictable and uncertain nature of the contemporary modern battlefield. (3) The hostile and ambivalent societal environment with security ramifications generated a pivotal need to implement pacification and law enforcement measures in a parallel manner with the military campaign. In other terms, you can’t liberate a new district until you not made sure that previous one is not infested by yesterday’s jihadists now posing as shaved clean-cut civilians. The ramification of a population pacification strategy is a sensitive one for the civilians, because it unavoidably means that security forces need to storm homes and check for weapons, suspicious clothing, equipment or any kind of clue that could indicate a concealed hostile presence. In many such cases strong opposition from the inhabitants does occur which usually escalates in fights. Most of the times individuals are designated as suspects based on what other individuals, neighbors, or citizens say. In the region, it is a custom of people to invent false allegations against other persons based on divergent family or tribal affairs. Additionally, informants could be in several instances ISIS sympathizers attempting reverse HUMINT gathering. Which in turn, flags the danger of overly-depending on Human Intelligence in the pacification process, even if it’s the most resourceful and simple thing to do. However, realistically speaking some of these measures/ practices are unavoidable and deemed as necessary, strongly because of the steadfast manner with which the Coalition forces needs to expel ISIS. The tactical errors or weak-parts summarized above should be appreciated as ‘to keep in mind’ elements of value and should not be deemed as strategy-changers. (4) Let’s get to the more concrete part: the improvised military tactics employed by ISIS that almost completely stalled the Iraqi advance in Western Mosul in March and April 2017. Starting from the hypothesis that ISIS firmly controls and knows the operational environment. Da’esh has established an extensive network of alternative routes composed of tunnels through and under buildings or house, and paths through backyards. The extensive overuse of IED’s (Improvised Explosive Device), suicide attackers and any kind of booby-traps has additionally obstructed ISF movements throughout the city. Added that such hidden dangers escalated the uncertainty of the operational environment. ISIS has developed and operated more sophisticated and intricate improvised explosives than its precursor, al-Qa’ida in Iraq (AQI). The SVBIED and Unmanned Drone Bombs faithfully depict the evolution and resilience at a tactical level by jihadi militants in Iraq. Suicide Vehicle Borne Improvised Explosive Device (SVBIED) or a “suicide-car” is an improvised explosive device based on vehicles, preferable those of higher weight but mostly regular urban cars scavenged from the civilian population. Beyond doubt, suicide-cars do not represent a fresh tactic for jihadist insurgencies, however in this case we do observe exponential new elements that enhances previously known methods of operation and lethality. 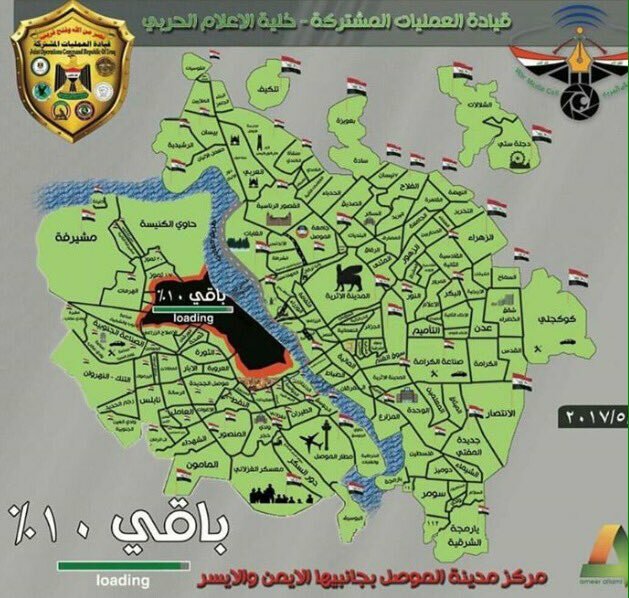 Not to be underestimated, the intense usage of such SVIEDs have resulted into a month-long operational stalemate in Western Mosul, restricting ISF movement around the city and escalating the paranoia, harassment and uncertainty hunting the soldiers. The same armored treatment is applied to wheels and engines, which are the recommended places to shoot in order to stall or stop a SVBIED approaching you – if you’re lucky enough to see it or distinguish it, that is. They tend to leave the back of the car untouched purposely because that helps the vehicle blend (partially at least) into the environment and move unnoticed. Due to the extensive armored upgrades, the driver’s visibility is dramatically reduced; therefore he would be in a great difficulty to successfully reach his objective and evade enemy personnel along to it. But here again, ISIS proves how resourceful it is. The SVBIED driver is constantly guided by another colleague that operates a remote controlled drone from a compound, providing over watch to avoid unexpected threats as well as offering directions in order to reach the designated objective. Many of the SVBIED attacks are filmed by accompanying drones so that the footage can be used for propaganda purposes and boost the ‘Calipath’s” morale and prestige. In many instances, the SVBIED driver is tasked to learn every move that he needs to take before embarking on the trip. And in rare cases there are two individuals in the SVBIED, one driving while the other one offers suppressing fire in order to enhance the mission’s chance of succeeding. 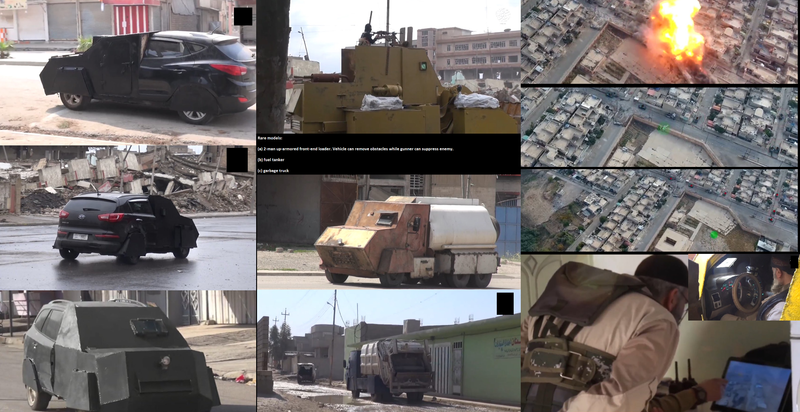 Through their raw engineering, ISIS have repurposed a wide variety of vehicles from family-friendly station wagons, trucks, oil cars, stolen Humvees, bulldozers lorries or even garbage trucks, in order to fit their suicidal violent deeds. Hundreds of these attacks have taken place slowing the ISF’s movements through the city and almost completely hampering operations around late March, April until May in Western Mosul. Also, we should not underestimate the psychological impact of such attacks on Iraqi troops; the demoralizing and shocking effects of an death-car popping out of nowhere racing towards you can be best suggested by this following video from Middle East Eye that shows raw ISIS propaganda of SVBIEDS attacks recorded by drone. *Keep in mind this is ISIS propaganda so in effect the suicide car is highlighted in green while the ISF or PMU troops are outlined in red. The closest a terrorist group is of having Air Support. After using for several years civilian drones to conduct surveillance and intelligence gathering, ISIS have proved in late 2016 that they have managed to successfully weaponize these drone to drop ordinance. As mentioned, these are civilian drones. They are not very stealth nor do they have an extensive autonomy, but we’re able to inflict several casualties. The procedure is quite simple, they attach ordinance such as RPG-7 rockets, mortar rounds or frag grenades on the drone’s fuselage and then hovers until it identifies targets. 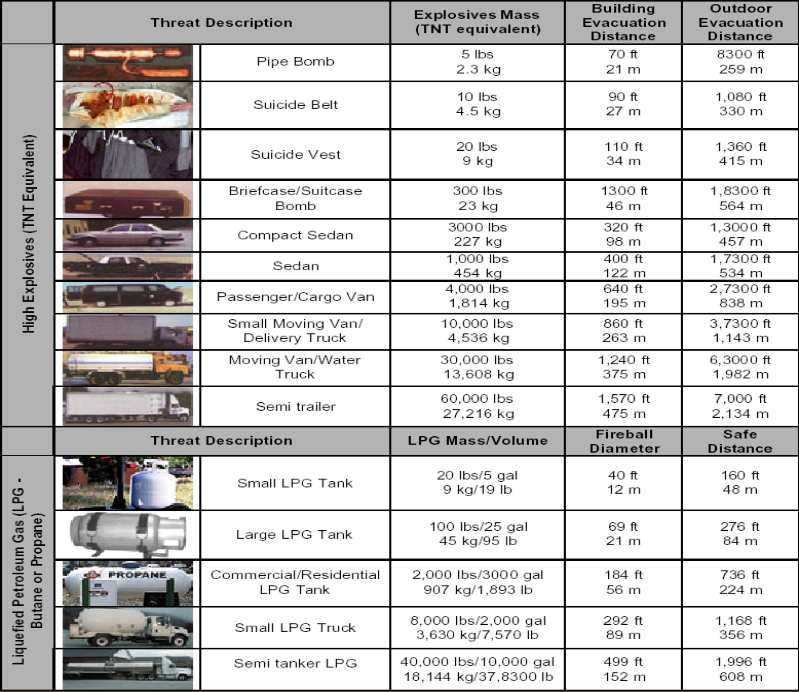 The ammunition has stabilizing fins and a point-detonating fuse built to explode on impact. These are neither sophisticated nor efficient tools, but cheap civilian devices found everywhere on the market, with rudimentary explosive rounds dropped in a highly inaccurate manner from observable and loud drones. “Although dangerous, and effective as a propaganda tactic, it has limited operational effect on the battlefield and will not change the outcome,” Air Force Col. John L. Dorrian, spokesman for the U.S.-led coalition opposing the Islamic State, said in February 2017. The connection between the device and the operator is quite weak; therefore a simple team of EW (Electronic Warfare) can disable it if spotted on time. On the other hand, the US has developed ‘drone-grounders’ that intercepts the connection wave and gives control to the operator of the weapon. It largely remains an undisclosed weapon therefore chances that these have been transferred to Iraqi personnel are quite low. However, many drones have been downed through simply shooting at them; a regular soldier with average marksman skills should do the trick. But yet, that is not the point. Regardless of the rudimentary and inefficiency of this tactic, it serves ideally as a propaganda tool showing footage of Iraqi soldiers on the run or even killed by the strike while also emphasized the high-tech manner of ISIS. In addition it also builds on the ever-hostile and uncertain security environment that perpetually hunts the ISF in this battle. Given this context we should understand why the battle suffered dearly after passing on the western bank of the Trigris River, where a long “pause” stretched from late March to late April resuming with slow advancements up till this day. Consequently, the northwestern front opened in April was ideally to relaunch the effort and completely surround ISIS fighters in the central districts of Western Mosul. And even though zero-sum battles have been taking place there for some time, finally we have news of a significant breakthrough that generated so much optimism that some think that the battle for Mosul will be over in days. I however am not inclined to consider such a prognosis. While the conventional battle could be finalized in the following weeks, that would only open a more lengthy chapter of “traditional” insurgency from radical Sunni elements, which could manifest in a devastating form or not, yet the situation is far from being over. Notably because the military component is simply a means, these are surgical operations that treat the symptoms and not the source, which is rooted in the political landscape, the societal fabric and the nation’s wounds or grievances throughout the country’s history and recent sequences. The situation remains infinitely complex and almost impossible to solve. What we should do with the Battle of Mosul is try to study it as much possible in order to learn our lessons, because this fight is our best clue to envision how a Raqqa assault will look like. Subsequently, Mosul will also provide us with a tease of how an ISIS insurgency looks applied to such a dense urban environment. Also weighing-in on the time, human costs and effort invested to free a city that back in 2014 fell without a shot fired, gives me reason to consider that Mosul will end-up being a Pyrrhic victory (in societal pacification ramifications) but a clear conventional defeat on ISIS, without a doubt. To end on an optimistic note, a major catalyst of the terrorists to lose morale and motivation will be when the Iraqi Security Forces will take control of the al-Nuri mosque (which is imminent); the place where three years ago Abu Bakr al-Baghdadi declared the establishment of the ‘Caliphate’ – of course in its synecdoche meaning. 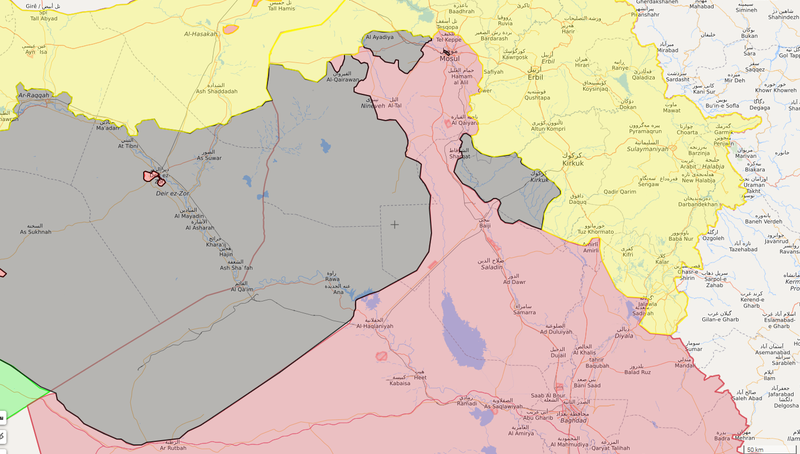 Through that impact, the jihadists will come to realize that a day will come when they won’t… And because there is no greater risk than not taking a risk, in this context the U.S. led-Coalition should maintain a presence in the area as much as possible either serving as temporary “bandage” or as a long-term stabilization force that will also put pressure on the Shia’a, on Baghdad’s unilateralism while also keeping in check the Sunni radical elements.